Skulls are in style, just look around. You can wear not only at Halloween, though they do make great earrings to wear when you trick or treat around the neighborhood, match them with some jeans! 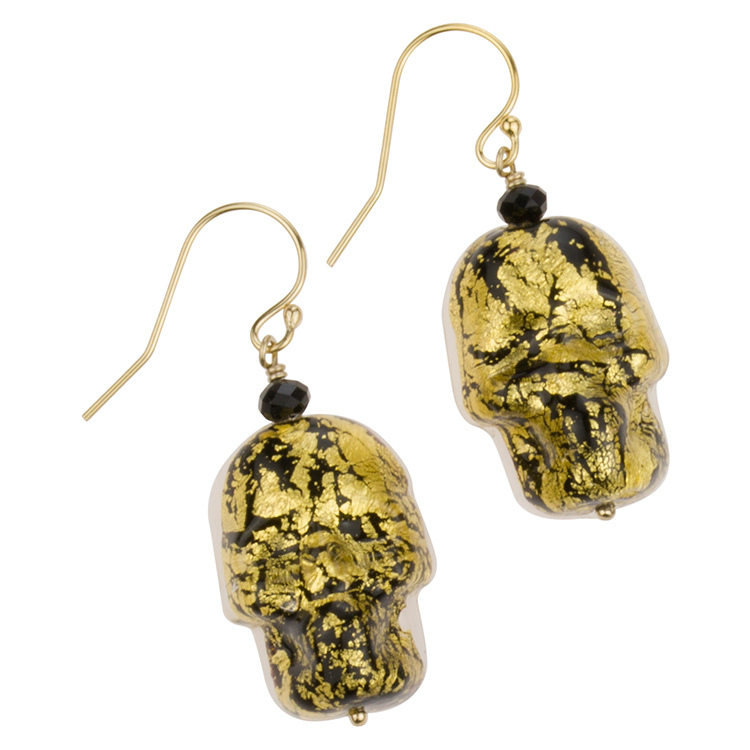 The skulls are handmade authentic Murano Glass featuring the Ca'd'oro Style of 24kt Gold Foil over black glass and completely encased in clear Murano Glass. The length is approximately 1 1/2 inches (38mm). It features a 14/20 Gold Filled Ball End Earwire, 20ga and a Swarovski briolette for an added touch.